Karl Popper changed the way we think about science. Scientific theories were thought to be tested by a process of verification. Popper showed they could only be tested by falsification. If a theory can be falsified, he said, it counts as science. Otherwise, it is pseudoscience or simply outside the limits of science. 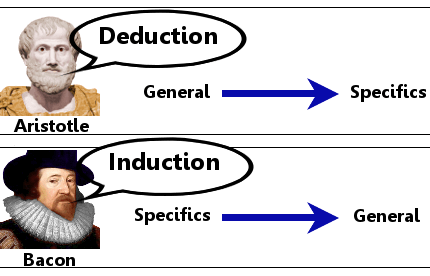 His hypothetico-deductive model of the scientific method has largely replaced the older deductive and inductive models. Karl Raimund Popper was born in Austria’s capital city, Vienna, on July 28, 1902. His father was Simon Siegmund Carl Popper, a wealthy, successful lawyer. His mother was Jenny Schiff, a talented amateur pianist. Both of his parents were converts from Judaism to Lutheranism. They were not religious people; they converted in order to assimilate culturally in Austrian society. Karl was the youngest of three children; he had two older sisters, Dora and Annie. His upbringing was highly cultured: the Popper home had its own scholar’s library, and the appreciation and playing of classical music was a dependable and enjoyable part of daily life. His father worked with two organizations offering shelter and food to the homeless. One of these organizations gave a destitute 19-year-old by the name of Adolf Hitler a roof over his head in 1908. Karl only learned about his father’s charitable work several years later. Even as a young boy, Karl thought about big questions in science and philosophy. He worried about the concept of infinity – a problem which in later life he continued to wrestle with. Influenced by Darwin’s ideas, he also began speculating about the origin of life. Karl found high school lessons at the Vienna Gymnasium intolerably slow and boring; he felt his time was being wasted. In 1917, age 15, he returned to school after a long illness and found that even in mathematics, the one subject he enjoyed, the class had made little progress. In late 1918, age 16, he left school and matriculated at the University of Vienna, not to study for a degree, but simply to attend lectures he thought would be interesting and worthwhile. He did not need to pass an entrance exam to do this. World War 1 ended in November 1918, about the same time as Karl Popper matriculated at university. Austria was on the losing side, and its people were now tormented by severe financial and social turmoil. The problems of poverty that had concerned Popper as a child were now more acute, affecting many more people. Popper became a Marxist, and by early 1919, aged 17, he had become a Communist. He believed these doctrines offered the best means to end the terrible hardship faced by many of Vienna’s citizens. His Communist phase was very short-lived. Popper soon concluded that Communists, with their belief in revolutionary violence, did not care about people dying: they exploited the workers cynically, using them as pawns in a power game. In 1919, learning about Albert Einstein’s work changed Popper’s life. Einstein’s general theory of relativity said that gravity was actually a curvature of space-time caused by mass. The larger the mass, the greater the curvature. The theory predicted that light from distant stars passing close to the sun would follow a gravitational curve in space-time caused by the sun’s enormous mass. In May 1919, Arthur Eddington led an expedition to Africa to observe an eclipse of the sun. Eddington’s plan was to observe starlight passing close to the sun to see if it was deflected in agreement with Einstein’s theory. This was a crucial test of the general theory of relativity. It passed with flying colors. Popper contrasted the outlook of Einstein, who was willing to set objective criteria to determine if his theory was wrong, with the outlook of his Marxist friends. Popper believed significant flaws in the historical and economic theories of Marx had been demonstrated repeatedly, yet Marx’s followers seemed to cling to them dogmatically or cobble together new interpretations. The Einstein vs Marx contrast was a crucial step in Popper’s intellectual development. At any rate, he decided that he would not become a party politician! Popper sampled lectures in a large number of subjects at the University of Vienna, continuing only with Mathematics and Theoretical Physics. In winter 1919/20 he left home, trying not to be a burden on his parents, who had lost most of their savings in the wake of Austria’s defeat in World War 1. While he continued his academic education, Popper also worked as an apprentice furniture maker. He qualified as a journeyman in the fall of 1924, age 22. However, he did not think he would ever make high quality furniture, because his concentration was broken too often by his obsession with epistemology – the theory of knowledge. He became a social worker, working with disadvantaged children. In 1925, a new education institute opened in Vienna – the Institute of Pedagogy. Austria’s government wanted to reform the country’s education system, and a number of social workers, including Popper, were sent to the new institute to learn about theories of education and psychology. Soon, Popper began teaching there unofficially, helping his fellow students prepare for their exams. Popper thought deeply about knowledge, education, and psychology, becoming increasingly suspicious of psychological theories. In 1928, age 26, he was awarded a Ph.D. for a thesis entitled On the Problem of Method in the Psychology of Thinking. In 1929, he qualified as a mathematics and physical science teacher. While working as a high school teacher, Popper returned to an issue that had obsessed him since his Einstein vs Marxism comparison back in 1919. This was the issue of demarcation – the factors that separate science from pseudoscience. By this time he had added the psychiatric ideas of Freud and Jung to the political and economic theories of Marx as examples of pseudoscience. In 1934, Popper published his groundbreaking book Logik der Forschung. The book was published in English in 1959 entitled The Logic of Discovery. Newton’s theory of gravitation had existed for centuries before Einstein’s replaced it. Popper had exposed a flaw in the logical foundations of science. Since scientific theories could never be verified, they could never be tested. However, Popper also solved this problem: he demonstrated that scientific theories are actually tested by falsification, not verification. And here lay the solution to his demarcation problem – science can be distinguished from pseudoscience by the concept of falsification using observations/experiments. 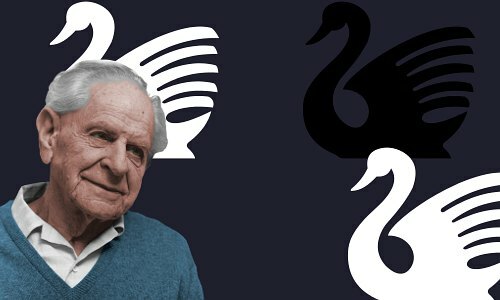 Even if millions of white swans have been observed over many years, seeming to verify the theory that all swans are white, the observation of a single black swan falsifies that theory. The slaying of a beautiful theory by an ugly fact. What was new was that Popper used the principle of falsification as the formal test of a scientific theory, and as the formal way in which scientific theories could be separated from pseudoscientific theories. Popper said that a true scientific theory must hold enough content within it to offer the opportunity to falsify it. He saw this as a Darwinian process – science evolves by a process of natural selection. Extinction occurs by falsification. Popper considered past philosophies of human knowledge to be unproductive because they did not seem to concern themselves with what he considered the most important aspect of knowledge: its growth – the discovery of new knowledge. He said that scientific progress is made when the content of theories increases. Naturally, the more content any theory contains, the more opportunities there are for it to be tested by falsification. Popper disagreed with Bacon’s model. Popper said that observations do not actually come first. It would be meaningless to make observations without having some idea about why you were making them. He argued that science actually begins with a tentative idea – it might be highly tentative – and then advances by data collection and trial and error. According to Popper, the most important thing is that whichever way a scientist arrives at a theory or hypothesis, it must be falsifiable. If a theory is not falsifiable, it is not scientific. Popper called this the Hypothetico-deductive method. Allowing for some degree of flexibility, it is generally considered to be the model that best describes the modern scientific method. Popper’s Hypothetico-deductive method shares some of the concepts advanced by the nineteenth century British polymath William Whewell. History shows us that flexibility is needed regarding falsification. Theories with many successes under their belt should not be abandoned too quickly. On the other hand, falsified theories should not be hung on to by continually making adjustments to them or cobbling together contentious evidence to support them. 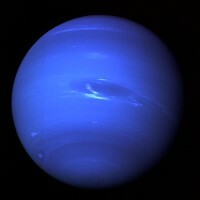 The discovery of Neptune in 1846 prevented falsification of Newton’s theory. By 1824, Newton’s gravitational theory had apparently been falsified by observations of Uranus’s orbit. Uranus was not following the path predicted by Newton’s theory. Scientists, however, did not abandon the theory. They produced a new falsifiable theory, that the gravity of a planet farther from the sun than Uranus was affecting Uranus’s behavior. This theory was tested, with the result that Neptune was discovered. Newton’s theory had not been falsified; it had survived, and knowledge had grown. Although Uranus’s behavior could be explained within the framework of Newton’s theory, Mercury’s behavior could not. 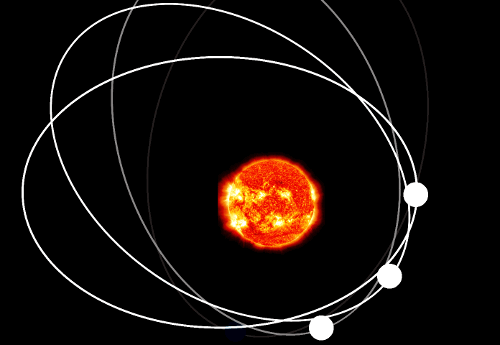 The closest approach of Mercury to the sun during its orbit was moving in a way that did not agree with Newtonian theory. In the rather tongue-twisting jargon of astronomers, this was the problem of the precession of the perihelion of Mercury. It turns out that Mercury’s behavior was actually falsifying Newton’s theory. Mercury is the planet that feels the sun’s gravity most powerfully, and therefore might be expected to act like a canary in a coalmine for any theory of gravitation. However, Newton’s theory had proved so successful in so many instances, that people did not consider that it could be wrong. In their eyes, the verification evidence outweighed the falsification evidence. With a view to keeping Newton’s theory alive, scientists made a number of suggestions – such as the gravity of a proposed planet called Vulcan disturbing Mercury’s orbit. An astronomer even claimed to have seen Vulcan. Most scientists did not wish to consider the need for a new theory of gravitation. They had seen so many white swans that they refused to believe the black swan was even a swan at all. However, experimental verification of Einstein’s theory finally falsified Newton’s theory. Only time will tell if Einstein’s theory will itself be falsified. So when should an apparently falsified theory be abandoned? Unfortunately, the answer to this question is not always obvious. Discarding a theory is a matter of judgment for the scientists carrying out the work. Popper believed that scientists should produce and experimentally test hypotheses to increase our factual knowledge about the world. Scientists should not promote theories about how the world ‘should be’ and science should not be ideologically motivated. Popper encouraged scientists to put forward big, bold, challenging theories. He believed that imaginative theories, whether falsified or not, were the best means to grow human knowledge. Popper’s best known work outside pure scientific philosophy is his 1945 book The Open Society and Its Enemies. In it he identified Plato, Hegel, and Marx as promoters of totalitarian government and therefore enemies of the open society. As might be expected, academics who approved of the philosophies of Plato, Hegel, and Marx leaped to their defense, accusing Popper of misinterpreting their ideas. Popper said that although a democracy need not be an open society, liberal democracy was the best way to achieve one. Inspired by the achievements of the Ancient Greeks, he argued against tribal and collectivist societies, asserting that individuals should take responsibility for their own choices and actions. He contended that Fascist or Communist totalitarian societies politicized science, preventing freedom of thought, leading to the degradation of knowledge. Totalitarian governments harmed people and societies by imposing policies on them that had been formulated using false theories. Popper met his wife Josefine Anna Henninger in 1925 at Institute of Education in Vienna where she was also a student. They married in 1930. In 1937, concerned at the growth of Nazism in Germany, and correctly fearing Germany would annex Austria, Popper took up a position as a lecturer in philosophy at Canterbury University in Christchurch, New Zealand. In 1946, he became a reader at the London School of Economics, and in 1949, he was promoted to Professor of Logic and Scientific Method. He was knighted by Queen Elizabeth in 1965, becoming Sir Karl Popper. In 1969, age 67, he retired from his professorship, but remained active in academic circles for the rest of his life. He loved playing the piano, as his mother had done before him. He said that his skills as a pianist never matched hers. In contrast to his work in philosophy, where he challenged the old order, his musical tastes were very traditional – he liked Bach and Beethoven and did not appreciate new classical music such as Arnold Schoenberg’s atonal work. Karl Popper died, age 92, of cancer on September 17, 1994 in Kenley, England, UK. He was buried beside his wife in Vienna’s Lainzer Friedhof Cemetery. The couple had no children. "Karl Popper." Famous Scientists. famousscientists.org. 2 Sep. 2016. Web.